The electronic health record market has largely settled on a few major players in the U.S., even if it's still somewhat in flux. But a very different set of circumstances in Europe has led to some competitive jousting from a variety of vendors. 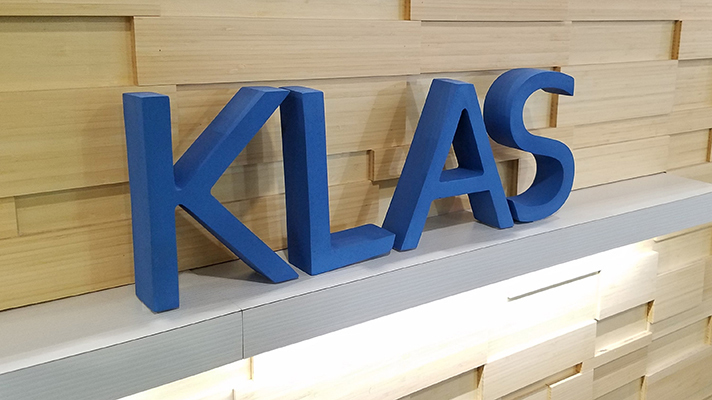 "Europe has one of the most dynamic and competitive EMR markets in the world, with active tenders in nearly every region," according to a new report from KLAS. "Amid this activity, multi-regional vendors are becoming more prevalent, forcing regional solutions to redefine themselves in order to stay relevant." The study tracked market share and gathered performance feedback from more than 100 interviews with IT decision-makers from providers in a dozen European countries. The biggest finding was vendors that have managed to find footholds in multiple regions of the continent are doing best. And unsurprisingly, Epic, Cerner and Allscripts are leading the pack. "Epic has grown rapidly in market share, (especially among larger academic and regional organizations in the Netherlands and Scandinavia) while hitting timelines and maintaining strong customer relationships," said to KLAS researchers, who did note that some customers say Epic’s approach "can feel somewhat US-centric." Cerner has found success, primarily in the UK, by innovating its functionality, according to the report. And Allscripts’ recent implementations "have progressed quickly and successfully." But other players are also making their presence known – notably InterSystems. That said, there have been growing pains, and that fast expansion has led to "missed implementation timelines, slow delivery of promised functionality, and a lack of localized functionality" for country-specific editions of its TrakCare system. Meanwhile, some smaller vendors are also holding their own. "Better than any other regional solution measured, ChipSoft has kept pace with the multiregional vendors in development, technology, and customer satisfaction," said KLAS, referring to the Amsterdam-based health IT developer. However, DXC Technology and Medasys, which is based in France, are "falling behind in support and development," according to the report. DXC's Lorenzo platform, which had been rolled out as part of the UK's since-abandoned National Programme for IT, has "performance and usability challenges, and delivery of promised functionality has lagged," KLAS notes. And Medasys broadened its product offerings, but "as resources have shifted, support has declined, leading to a large backlog of tickets." The report also looks at Agfa HealthCare and Cambio, whose EHRs are "slower in development, though customers are more positive about their overall experience."